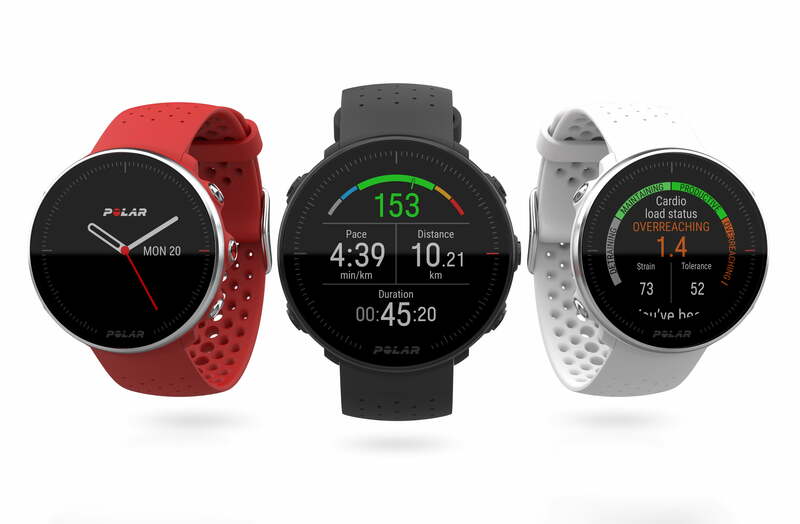 While there is a variety of fitness wearables on the market these days, very few manufacturers provide as much precision as Polar — and its latest lineup of wearables is no different. 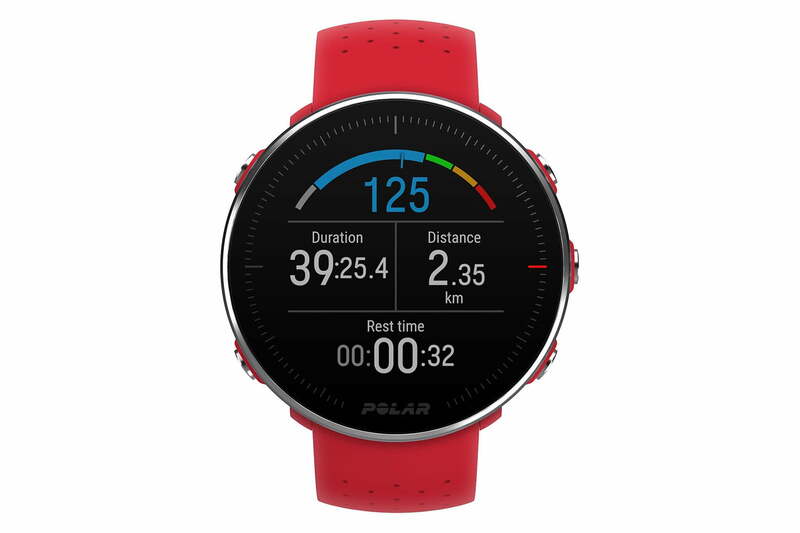 Known as the Polar Vantage V and the Polar Vantage M, both devices provide a new optical heart rate sensor, additional tracking metrics, and more. 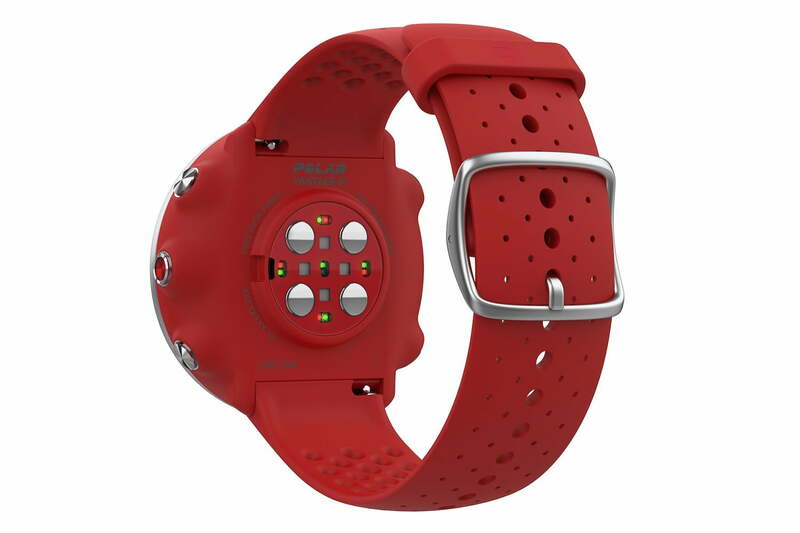 Along with a heart rate sensor, both devices also include built-in GPS to track your runs, bike rides, walks, and more. But features like these tend to drain most wearables, the Vantage M and Vantage V are said to offer 30 hours and 40 hours of battery life, respectively. 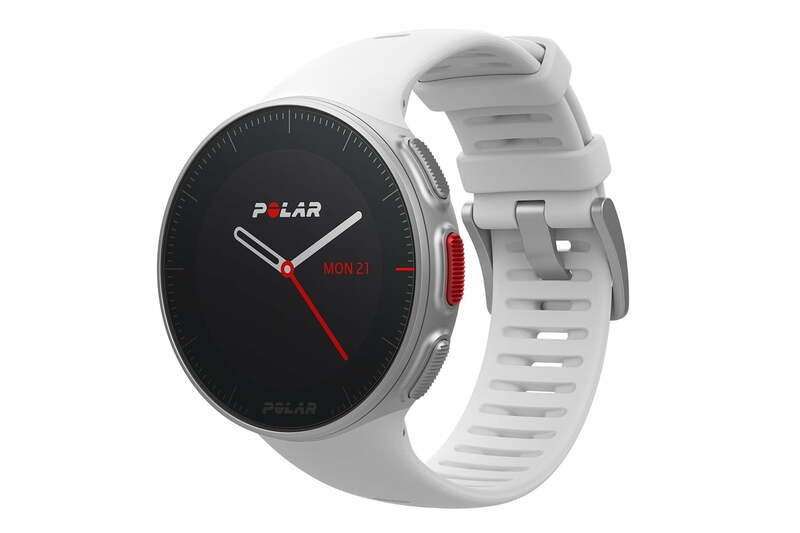 Both also include Training Load Pro, a new ability injected into Polar’s Smart Coaching feature — which allows users to plan weekly goals and measure fitness levels. Not only does the new mode monitor training loads from each session, but it also helps athletes recognize whether they’re not training enough, training too much, or training the right amount. In addition, Training Load Pro incorporates Cardio Load which measures how much stress is placed on the cardiovascular system. Used in conjunction with a power sensor, it tracks Muscle Load to inform you of how much your muscles were stressed during a training session. 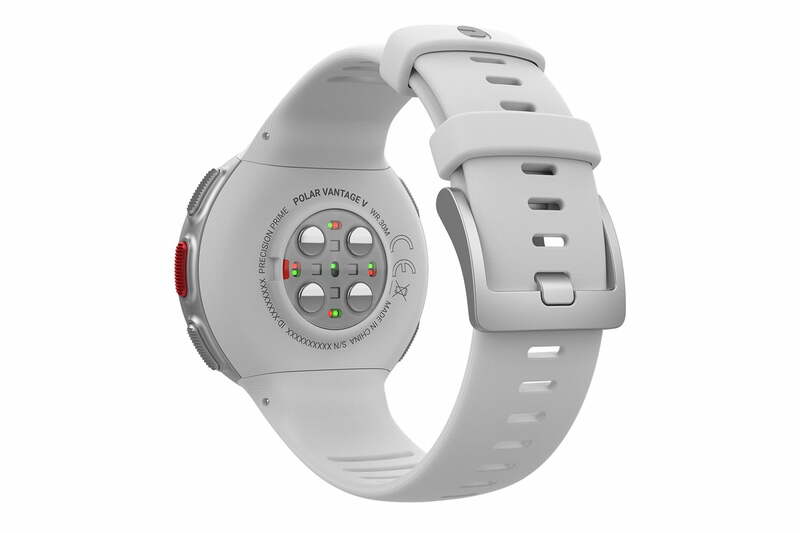 To add to your training capabilities, both fitness wearables also include Polar Flow for Coach. This gives coaches the ability to sync training plans with an athlete’s flow account and the Vantage M or Vantage V. Athletes can then refer to their wearable for daily training and coaches can tweak workouts if needed. But Smart Coaching doesn’t stop there. 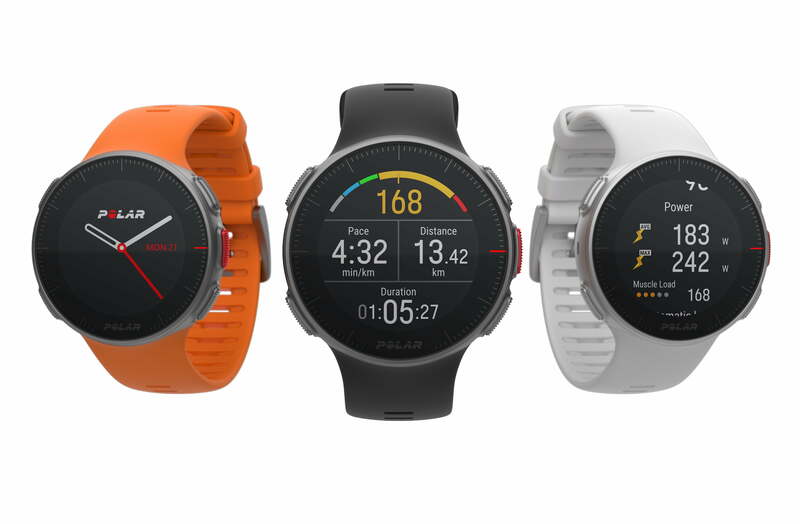 The wearables also offer two features for running — Running Index will score your performance and Running Program, which is Polar’s free, personalized training program, helps train you for events like marathons. With Polar Sleep Plus, you’ll also be able to track the quality of your sleep and tips on how to improve it. Both watches also include the ability to customize more than 130 sports for athletes to improve their personal performance. With Swim Metrics, athletes can also track metrics like distance and stroke rate during outdoor or indoor swims. But what is it that makes these two watches different from one another? While the Vantage M comes packed with a ton of fitness features (and a cheaper price tag), the Vantage V is a bit more feature-heavy — for those who consider themselves elite athletes. For starters, there is the Running Power feature which uses distance, speed, and cadence, to measure your running power in watts — straight from your wrist. By keeping track of your watts, you can decide whether or not you need to slow down in order to finish the race strong. For example, let’s say your average for a 5k is about 40 minutes and the Vantage V measures your running power at 160 watts. If you start the 5k running your first mile at 200 watts, then you’re using too much of that power in the beginning and over-exerting yourself. But if you’re running at your normal 160 watts, then you’ll be able to end with a good time and won’t feel as much strain on your body. Also exclusive to the Vantage V is Recovery Pro, which measures athletes’ daily and long-term recovery. Using it along with Training Load Pro will help to avoid injury while also attempting to improve overall performance. While both wearables look similar aesthetically, the Vantage V comes with an always-on touchscreen display. The Vantage M will cost you $280. The Vantage V is a bit more pricey, coming in at $500 in either black, orange, and white, in sizes medium and large — small bands can be bought for about $10. You can also opt for the heart rate bundle, which comes with the Vantage V and Polar H10 heart rate monitor for $50 more. 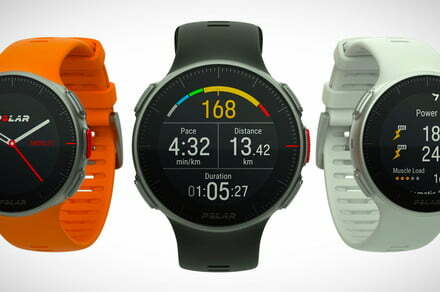 Both the Vantage M and Vantage V are available for pre-order through Polar’s website.